In part due to the wetter than normal weather in October, I only got on the water once during the month. This weekend was beautiful, so John and I decided to get our November paddle in yesterday (Sunday). Even Chuck was able to join us! 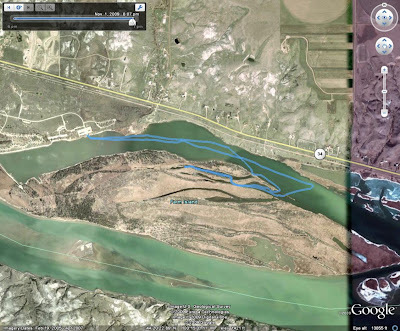 We put in at the main Farm Island boat ramp and continued down and into Farm Island.